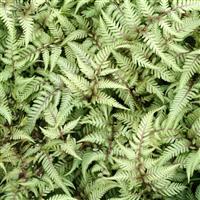 This fern has cool, grey-green, and almost silvery, foliage with reddish-purple stalks. 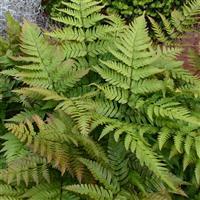 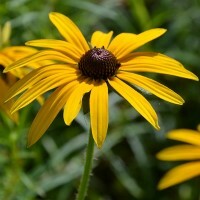 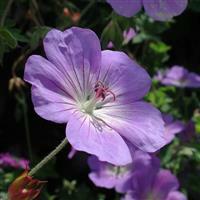 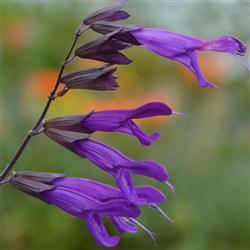 Prefers full sun, or partial shade with rich, moist soil, preferably in a humid environment. 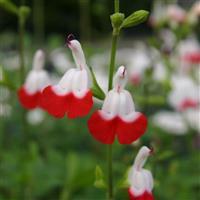 This variety will slowly spread by rhizomes to form dense colonies so when planted 30cm apart it is an excellent ground cover plant.